Our specially designed and developed pipe products are specifically engineered to work with our high performance underfloor heating systems. 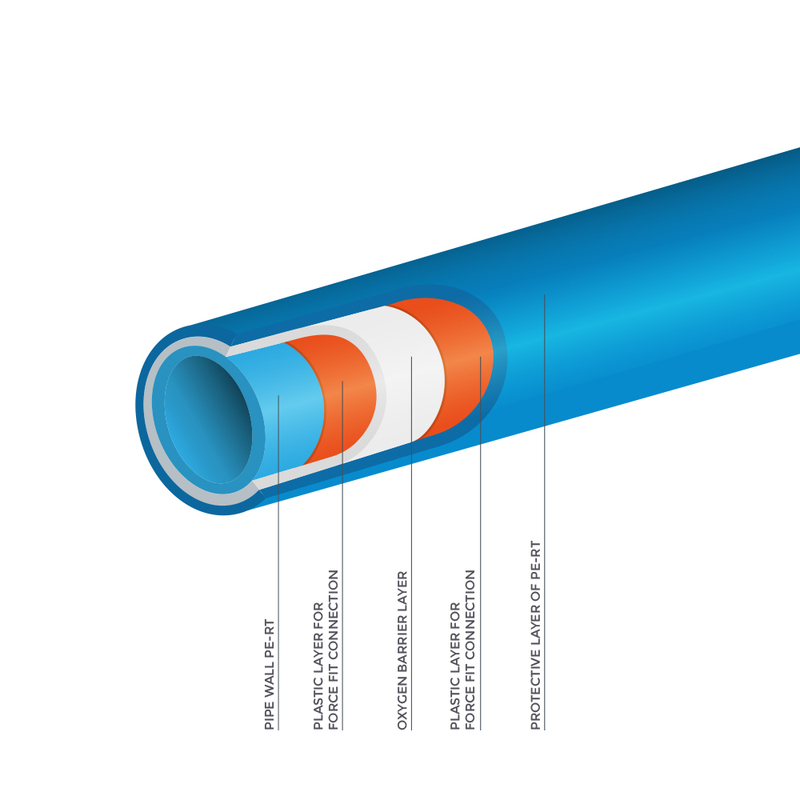 The five-layer structured pipe achieves a high degree of oxygen tightness. The entire range is backed by decades of experience in plastics processing. A specially modified polyethylene of medium density is used for the underfloor heating pipe, the molecular structure and composition of which ensures very good thermal stability and a high degree of mechanical strength. 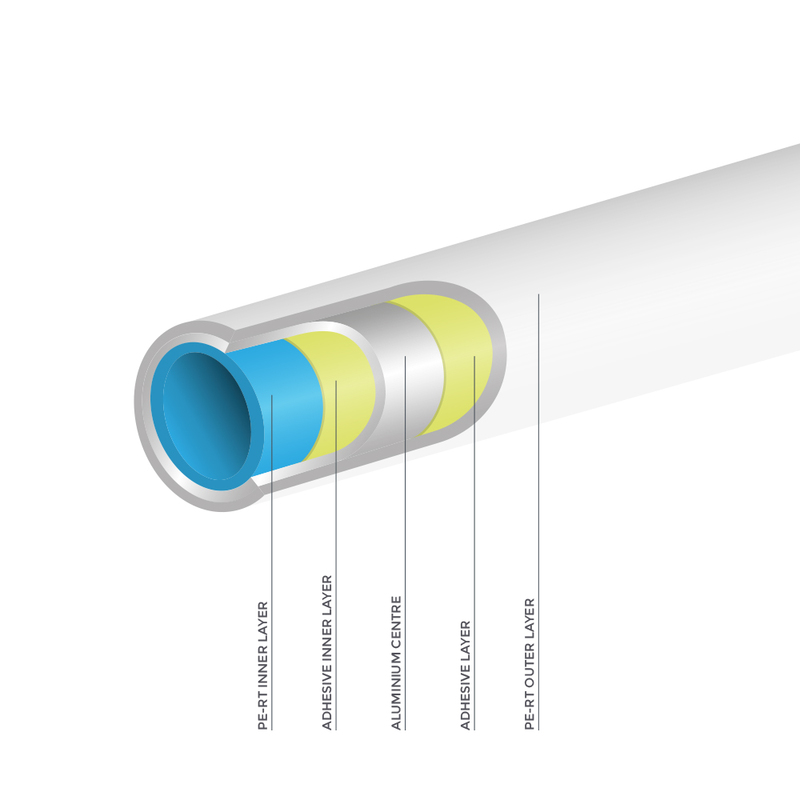 The pipe is manufactured by means of extrusion in one single process. The EVOH layer provides a very good oxygen barrier while the outer PE-RT layer protects the entire structure against damage. Only the best material quality from renowned manufacturers are used.